Happy Happy Friday! These week felt longggg. So I am very happy to have reached the weekend! 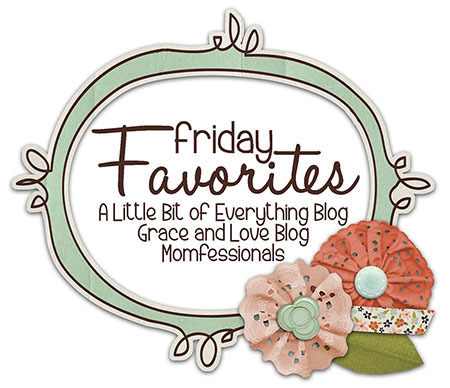 Today I am linking up over at Momfessionals to bring you some of my favorites from the week! In our house we are Yankee Fans and Giants Fans. Now I am a Yankee fan first because that's what I grew up with. 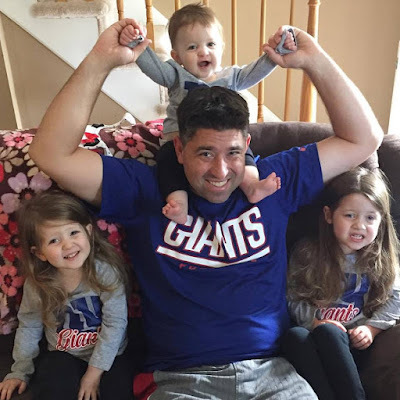 John is a Giants fan first because he grew up in a football house! 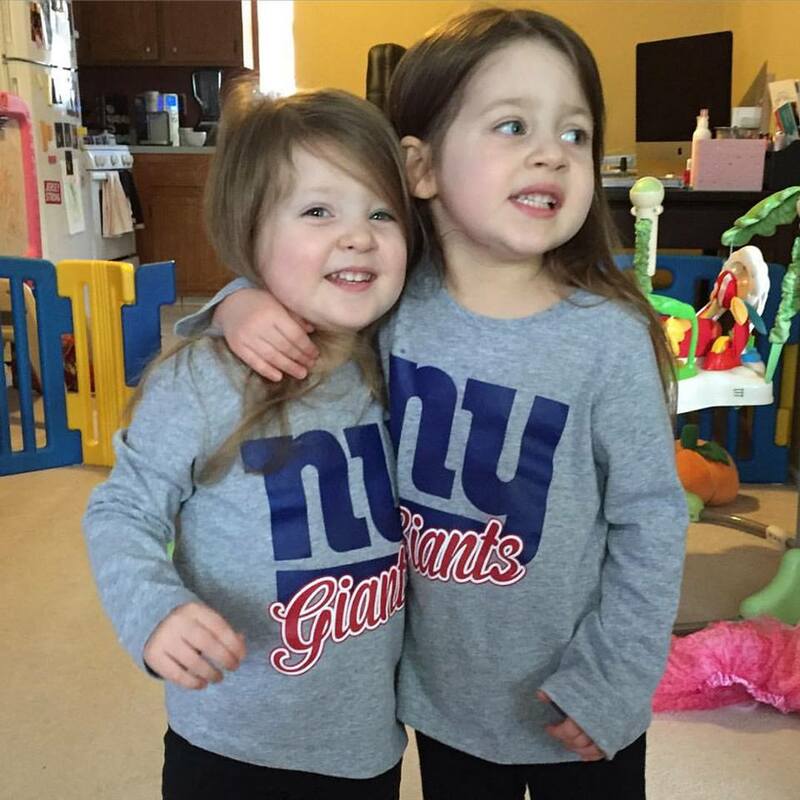 Even though Life Is Better In Pink at the Hiloskys, we are still attempting to raise our girls with a basic knowledge of sports! And on Sundays we watch football with Daddy! 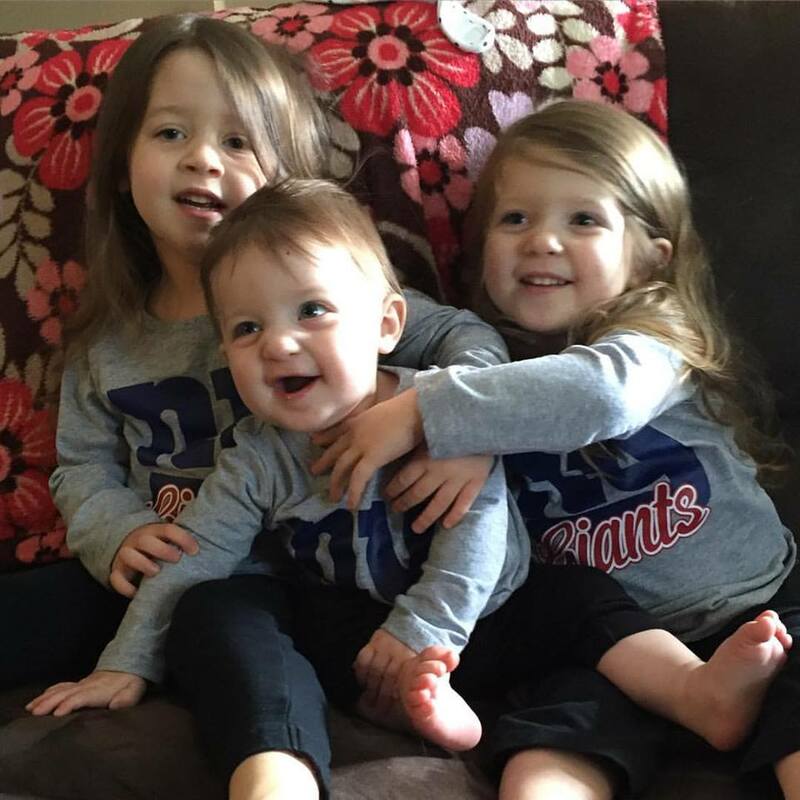 How cute are these New York Giants shirts?!? It's hard to find cute football stuff, especially for girls! For my 30th Birthday I treated myself to a Clarisonic. I always read about other Mom Bloggers who love this product, so I've had my eye on it for awhile. They're a little pricey though so it took me awhile to jump on the bandwagon. But I figured 30 was as good of a year as any to start taking better care of my skin. I've been using this consistently every night now for a month, and I am starting to see big changes in my skin. I am not breaking out on my forehead at all anymore. Any other blemishes that I have gotten come to the surface faster than they used to (if that makes sense) and they also clear up in a much shorter time frame (2-3 days rather than a week or longer). Obviously I got it in PINK! Electric Pink to be specific! We are already a month into pumpkin season, but I thought now was a great time to reshare my favorite pumpkin recipe! It's a super simple cake mix recipe and it's the best pumpkin cake ever! You need this pumpkin cake in your fall recipe box! It's almost here! You can probably expect to hear a lot about our trip in the upcoming weeks! The girls are getting excited and so is their Mama. I'm working on gathering all of the Disney inspired clothing that we own and putting it aside for packing! 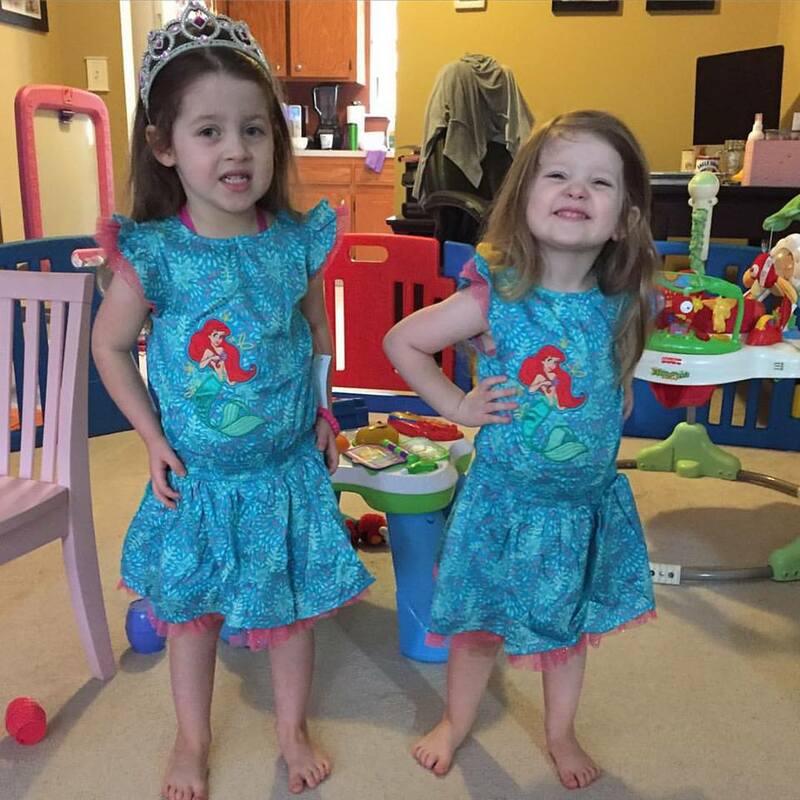 How sweet are these mermaid dresses that my MIL got the girls! They didn't want to take them off! As I mentioned before, I am linking up my Friday Favorites here! HEY... I totally just remembered I lost my face scrubber... I need to dig it out from under the sink. That made my skin so soft! I have a clarisonic, and love it too!!!! Makes my skin feel so soft.